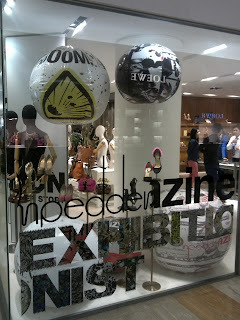 On Pedder has a very artistic and edgy catalogue in the form of bi-annual magazine called Pedderzine. Open this magazine and you can find a very excellent example of product photography. 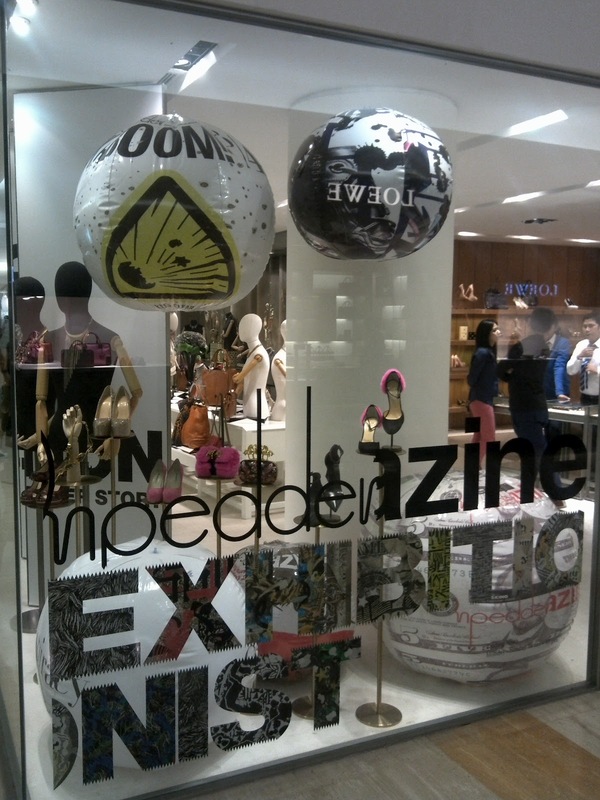 It is also the combination of fashion and art design. This concept is now used for the Fall/Winter 2012 window display of this multi-brands accessories boutique. 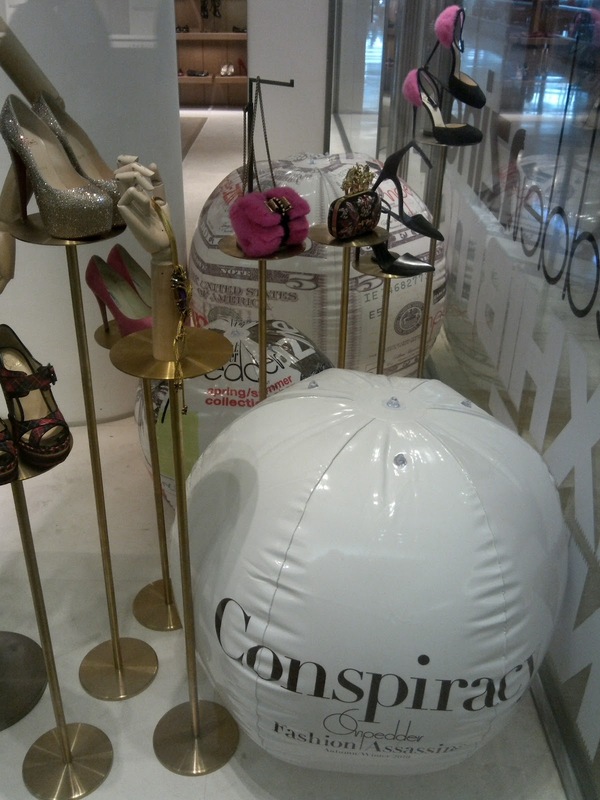 There are five balloons in giant size that each is covered with very graphic images and writings. This balloons might have no connection with the accessories trend for this season, but it works as an artistic background yet also very attractive for passers-by.